The Blue Train: “A window to the soul of South Africa” where you’ll watch the country’s scenic beauty unfold from the comfort of this elegant, world-class train. Traveling from Cape Town to Pretoria, you’ll enjoy luxurious accommodations, gracious service, and fine dining along with a wonderful high tea or a pre-dinner cocktail. Covering 1,600 kilometers in 27 hours, stop at the Victorian-era town, Matjiesfontein. 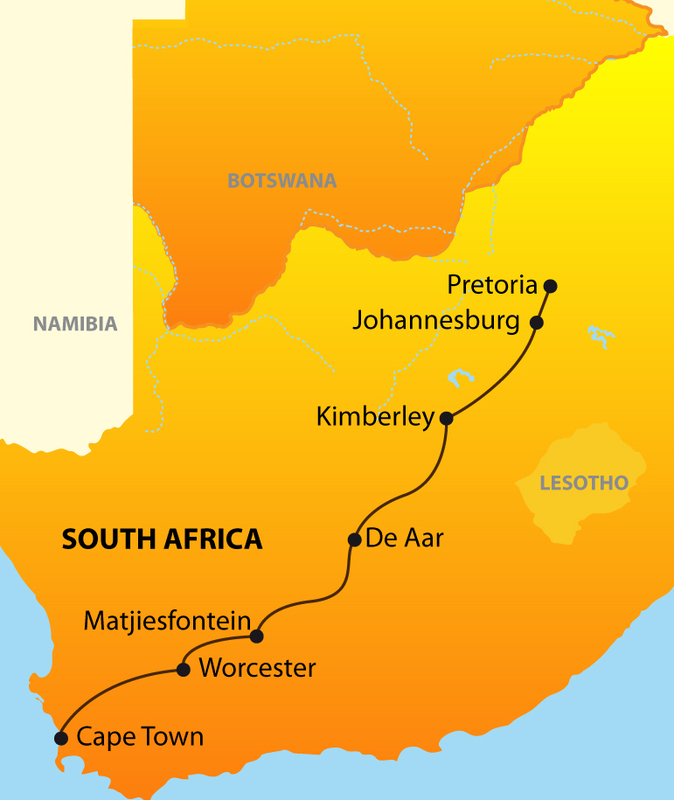 Marvel at the ever-changing countryside from the soaring mountains of the Cape to the rolling plains of the centre of South Africa on this spectacular journey. Board the train early this morning and settle into your suite as the train heads northeast through the Western Cape’s mountains. This afternoon visit the Victorian-age town of Matjiesfontein to see its 19th Century architecture. Dine in style tonight on board. After a wonderful breakfast is served, spend the balance of the morning watching the countryside of the Free State Province roll past. The journey ends on the train’s arrival at the station in Pretoria. 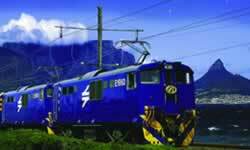 Southbound itinerary from Pretoria to Cape Town will include a stop at Kimberly instead of Matjesfontein.